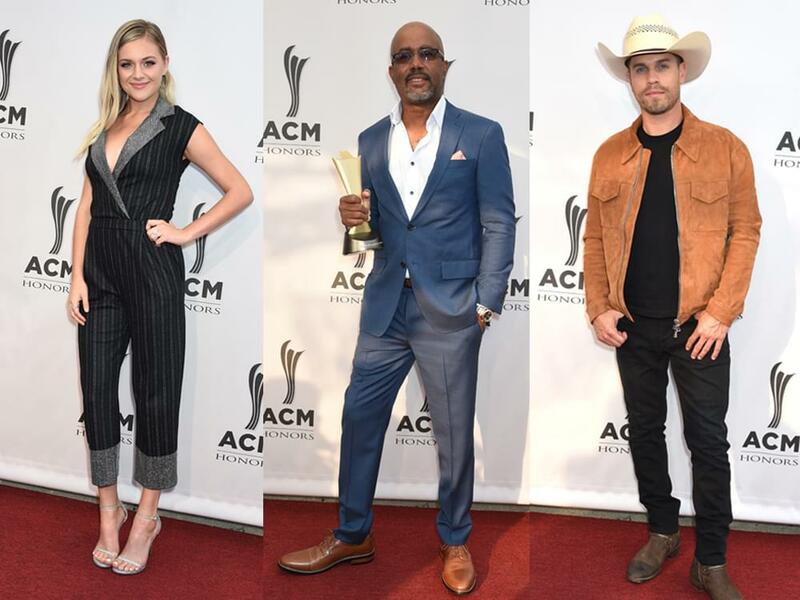 Before the 12th annual ACM Honors ceremony kicked off in Nashville on Aug. 22, many country stars walked the red carpet outside the historic Ryman Auditorium. The evening was dedicated to the special honorees and off-camera category winners from the 53rd ACM Awards. The ACM Honors paid tribute to a number of artists for their specific achievements, including Alan Jackson, Dierks Bentley, Sam Hunt, Darius Rucker, Matraca Berg, Mickey and Chris Christensen, Eddie Miller, Rhett Akins, Rob Potts, Matraca Berg and Norro Wilson. Check out our red carpet photo gallery, featuring Dierks Bentley, Darius Rucker, Kelsea Ballerini, Dustin Lynch, Kip Moore, Lindsay Ell, Cam, Lauren Alaina, Jon Pardi and more. Photos courtesy of Tammie Arroyo, AFF-USA.com.